Tim Keller has a special gift for digging below the surface. He applies his unique gift in the pulpit and in many of his books. 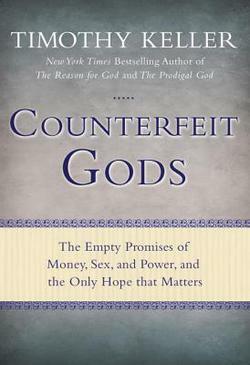 Counterfeit Gods is a convicting read and will no doubt encourage many believers to demolish their idols and cast their hope and trust in the living God. I have been reading books about the church for almost thirty years now. Most of the best material is being churned out by Mark Dever and the boys at 9Marks. Tim Keller’s, Center Church is a welcome guest in the growing list of books on ecclesiology. Keller sets out to communicate one central message which is summed up in the subtitle: Doing Balanced Gospel-Centered Ministry in the City. Center Church is encyclopedic in nature. It covers every subject conceivable and is a helpful tool in every pastors prospective tool chest. 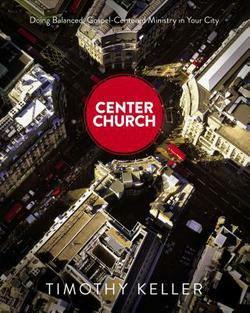 Center Church is filled with helpful instruction on doing gospel ministry in the city. It is a long read but worth plodding through for the treasures along the way. Highly recommended for pastors who love the gospel! The Meaning of Marriage by Timothy and Kathy Keller is a thoughtful look at marriage through the lens of Scripture. The Keller’s pull no punches. This book is honest and transparent. They reveal some of the struggles they have overcome in their marriage and point readers to biblical solutions. The Meaning of Marriage definitely has a “Keller-like” feel to it. Much of the book is deep and serious (one of the many reasons why Keller’s popularity continues to escalate), but it is filled with practical help for newlyweds and marriage veterans alike. The Meaning of Marriage affirms complementarianism and rejects the growing tide of egalitarianism. The apologetic for complementarianism is offered in a gracious manner and emerges in what may be the best chapter of the book (chapter six) which is authored by Kathy Keller. My only complaint is Keller’s argument that remarriage may be an option even when a previous spouse is still living. While he does not develop his argument at length, the popularity of the Erasmian view is alarming. Readers should refer to John Piper’s work, This Momentary Marriage for the opposing view. Overall, The Meaning of Marriage is a valuable book that should be devoured and utilized for years to come. Some have compared Tim Keller to C.S. Lewis. Other believe he is the C.S. Lewis for our generation. One thing is for certain though – Keller’s book, The Reason for God is a terrific read. I read Keller’s apologetic treatise when it first hit the shelves in 2008. The second read was even better! 5. How Can a Loving God Send People to Hell? Careful reader immediately notice that Dr. Keller gently unravels each of these arguments. And this is what makes The Reason for God such a compelling read. Honestly, Keller’s arguments against skepticism are quite devastating. But his approach is gracious and humble. His knows how to interact with skepticism in a winsome way – without compromise, all the while instructing Christians to do the same. These reasons are soaked in Scripture and come face to face with real life. Keller argues that there are sufficient reasons for believing Christianity – what he calls “critical rationality.” Again, he reasons gently. His arguments are convincing and compelling. But he refuses to steamroll the unbeliever. Keller is quick to criticize religion and prop up grace: “Religion operates on the principle ‘I obey – therefore I am accepted by God.’ But the operating principle of the gospel is ‘I am accepted by God through what Christ has done – therefore I obey.” He continues, “It is only grace that frees us from the slavery of self that lurks even in the middle of morality and religion. Grace is only a threat to the illusion that we are free, autonomous selves, living life as we choose.” Herein lies the biggest strength of Keller’s work – the emphasis on grace and the gospel. While the arguments are most helpful, his emphasis on the saving redemptive work of God in Christ make the book a must read for skeptics and believers alike.